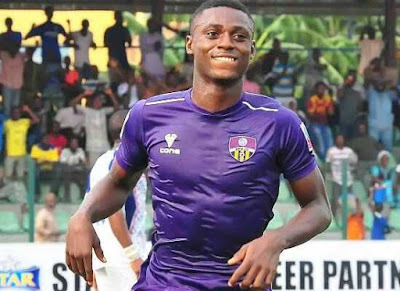 Stephen Odey needs no introduction as the poster boy of church side, MFM, and it’s no surprise he enters the record books as the first player to score a hat-trick in the history of the club. Interestingly, the youngster, also becomes the first hat-trick hero in the NPFL this term. Last season, Odey launched his top flight career in grand style and emerged top scorer for the club with nine goals. The feat was enough for him to be the wish list of several top sides at the end of the campaign. Although, he had to wait till the match day four clash at home to Sunshine Stars to announce his arrival on the big stage, his performance for the Lagos side was enough to worm his way into the hearts of Agege faithfuls. At the close of the season, Odey was rumoured to be on his way out of the club, but fans were excited to hear he made a U-turn to his first love. Truth be told, Odey brings the ‘fear factor’. Even when he is not scoring, he comes with makes significant inputs with assists for his teammates. With his assist against a star-studded side like Lobi, Odey has confirmed his rating as the new kid on the block. Lobi had the experience John Lawrence in goal, Nigerian International, Solomon Kwambe, club captain, Anthony Agbaji and former Nigerian International, Otekpa Eneji amongst other defending the colours of the Makurdi side. “I am very excited because it is my first career hat-trick as a 19-year-old boy playing in my second season in the NPFL. I want to thank God and my teammates most especially my partners in the attack, Chukwuka Onuwa, Sikiru Olatunbosun and Adegboyega Adekunle”, he said to journalists after ruining the trip of Godwin Uwua and his big names. 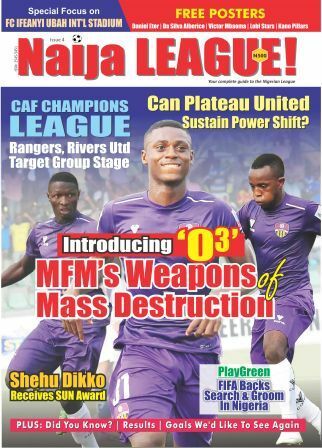 With four goals from two matches, Odey has the potential to score more hat-tricks and be the poster boy of the NPFL.